Reading the Keith Ablow books in order takes us to the chilling worlds of psychopaths who need to be caught by forensic psychiatrist Frank Clevenger. The author has also other non-fiction books all focused on medical topics, which are outside of the scope of this site. Keith Russell Ablow (website) is an American author best known for his Frank Clevenger thriller series. I love this author. His series hooked me in right from the start and I’m sorry to see that he only ever wrote 6 fiction novels. 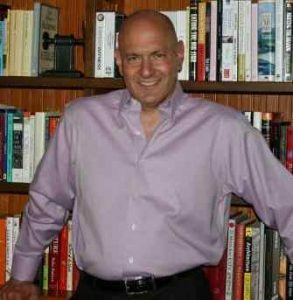 Keith Ablow is also one of America’s leading psychiatrists who translates his enormous experience to paper in his 6 psychological thrillers involving Frank Clevenger, a forensic psychiatrist in Massachusetts. As a doctor of psychiatry, he has published several prestigious non-fiction books on the topics of developing self-esteem, overcoming depression, anxiety and various other mental issues. He has a private practice in Newburyport and these days he is a TV personality, appearing often on Fox News. For anyone interested, dr. Key Ablow is a strong supporter of the Trump presidency and hated Obama and Hilary Clinton. He has either started or backed several medical-related companies, including Neuragain, Seat Pets, Causemo, and Cat Lick Stick, among others. He also opened Hiatus 1, “the world’s smallest retreat center,” in Newburyport, located behind his office. The center provides one on one therapy for clients. One interesting (and sad) note regarding his website. In the Books section, he has listed only his non-fiction work. Nowhere on the site are his Frank Clevenger books to be found, which I find a pity.